There’s holiday cheer to share with family, friends, and loved ones of all ages at the Vintage Village of Lights! Our 1920s and 30s village is illuminated to set a picture-perfect scene as you explore the festive touches, decorations, and embellishments that have been a part of Christmas traditions through the years. 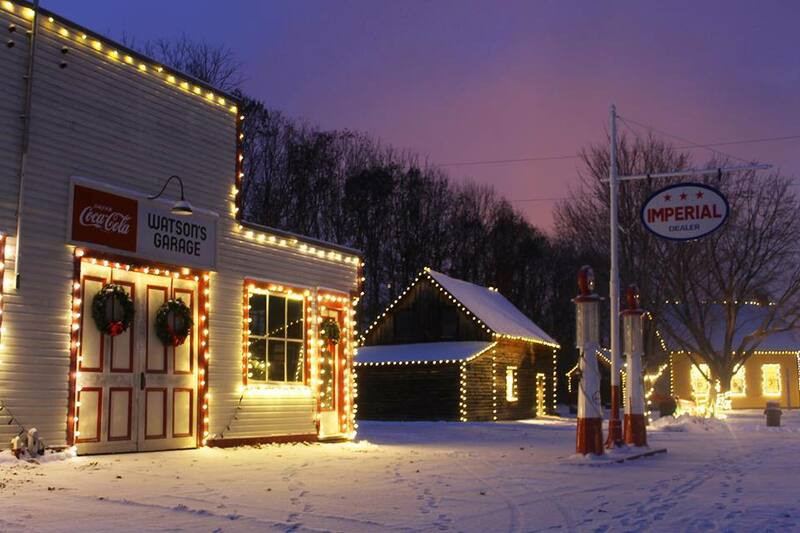 As you enjoy your stroll around the Village, be sure to check out some of the fun activities we have planned including: decorating gingerbread; taking a horse-drawn wagon ride; sending a telegram to Santa; printing a greeting card; personalizing a wooden tree ornament; a site-wide advent calendar; and more. And, of course, don’t forget to say hi to Santa! Cost: $19.25 families; $7.50 adults; $5.50 seniors and students. Children 5 and under are free. Memberships are welcome.